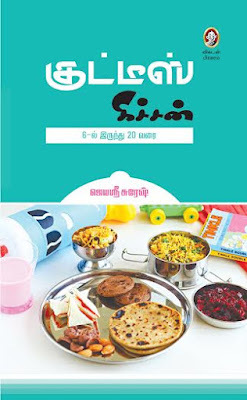 Happy to share that my second cook Kids friendly recipes published by Vikatan Publications is available online now. Click the link to place the order. The book will be available in all leading book stores in Tamilnadu. Wish you could support me as always . Thanks in advance. your items are very excellent.
" neengalum samaikkalam sirudhaniyam "
is very useful, great , thank you. 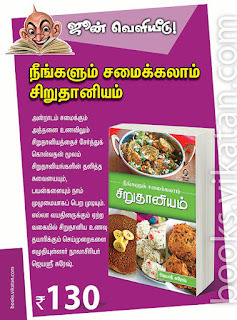 book is very clear and easy way of cooking. wish u aaaallll success !!!!!!!! Thank you so much for the feedback sir. Happy to know that. Hi Jeyashri, your book is out of stock.. could you please let me know if I can order it elsewhere? Is English edition planned Jeyashri.. Congratulations. I am very impressed by your recipes. Have you released any book cumulative all recipes mentioned in this site to refer instantly at home while cooking. can you let me know the availability of your book in Chennai shops to buy one for me. Maam please publish ur book in English. Is it available in Coimbatore. Yet to publish in English. 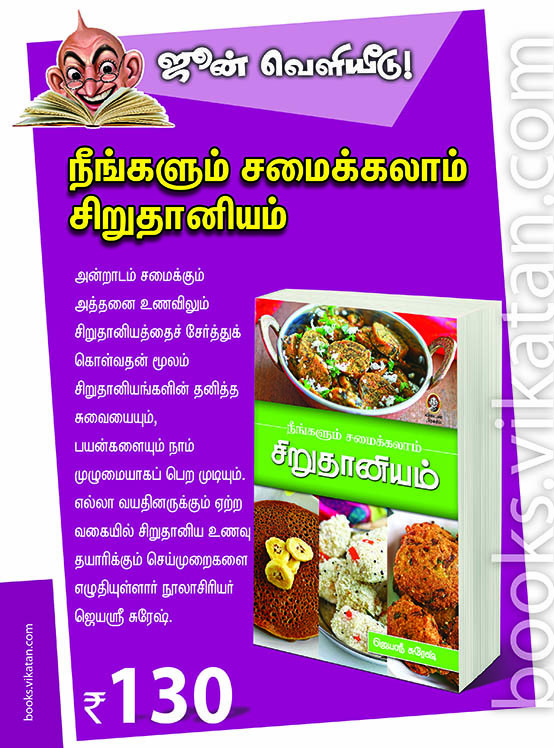 Tamils books are available everywhere.